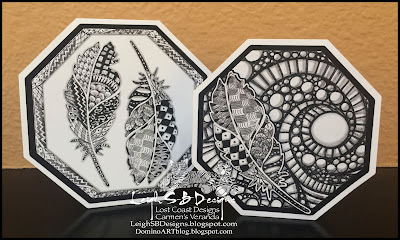 Velvet Paw Creations: Zentangle Octagonal Cards - Lost Coast Designs News Stamp Showcase Day 2! Zentangle Octagonal Cards - Lost Coast Designs News Stamp Showcase Day 2! 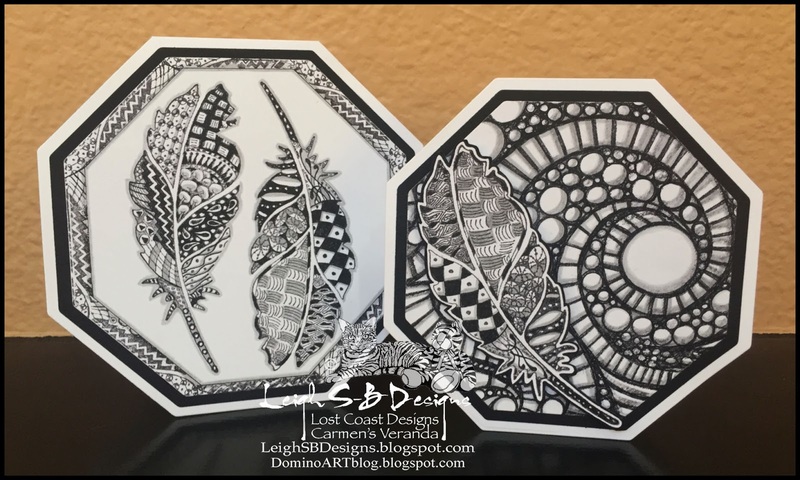 I made these two striking octagonal shaped cards to feature the bold style of our new Zentangle stamps. These cards are suitable for anyone and can work for any occasion but they make great masculine cards don't you think. 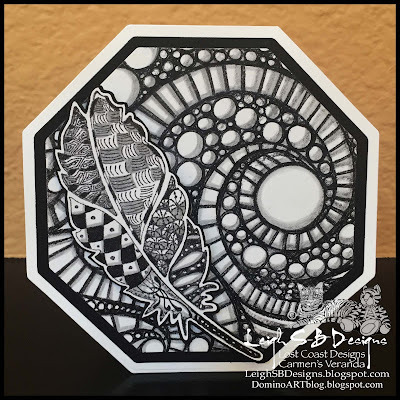 I used Zentangle Feather 1 and 2 on this one and also used one of the feathers to create the border framing the feathers. 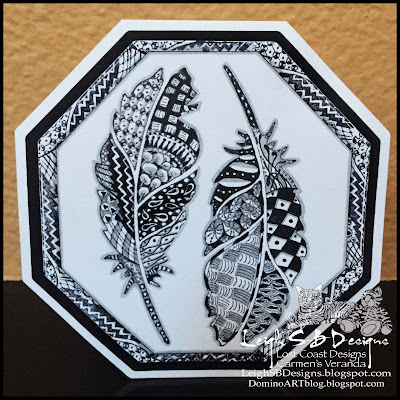 Zentangle Square 1 is such a striking design it can also be used on its own for a nice bold look. These are wonderful. 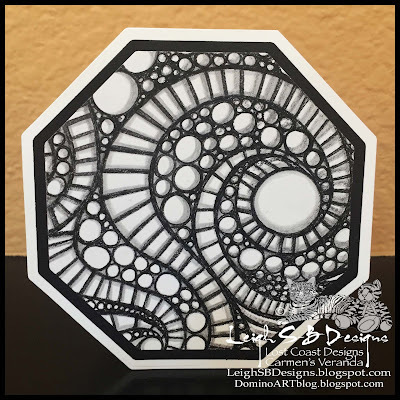 Do you have a die that cuts that shape or did you do it by hand? so amazing. I love this. Your art is always so beautiful and I am always one of your greatest fans ..hugs sister.